The Tri Town Dems 2015 Honors Dinner was a great success, once again. The following are the pre-recorded videos we played at the dinner. Each honoree spoke about their community & community service in general terms. We have longer versions of the videos that we will release in a couple of weeks. We hope you enjoy the videos and the important sentiments each honoree imparted. 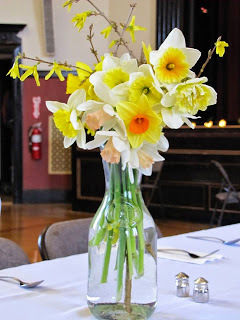 Over sixty-five people gathered at the Farmington Town Hall on Saturday, May 2, 2015 to honor three local volunteers at the Annual Honors Dinner sponsored by the Tri-Town Democratic Committee of Farmington, Milton, and New Durham. This year’s Honorees were Cathy Allyn from New Durham, Dottie Bean from Farmington and Victor Joos from Milton. The Honorees were selected for their long-term contributions to their local communities. All three demonstrated a long history of volunteerism for a variety of civic activities, and were constant supporters of their local communities in many ways over a number of years. The attendees viewed a video of each of the Honorees speaking about what they have done, what inspired them to community service and why they did it. Participants watched as words of wisdom were given by each of the honorees. Cathy Allyn reminded everyone that it didn’t take a lot of time and commitment to do community service. All you need was to be passionate about something and give a little time to make it happen. Dottie Bean expressed her belief that there was no reason for anyone to be bored, since there were so many good organizations in our communities, and they all could use a little help. Giving some time to any one of them meant less time with nothing to do. Finally, Victor Joos noted that governments are not businesses. They are not worried about profits, but only about getting the job done. And they need people to do those jobs. He also stressed his belief that positions should only be held for a short while, so that others could have a chance to leave their mark. All three of the honorees certainly left their mark on the audience, who listened intently to their words. The awards were presented by former Congresswoman, Carol Shea-Porter. She spoke with warmth and conviction about the importance of community service which she has seen in her many years in her career as a social worker. County Commissioner, Leo Lessard, a resident of Milton, acted as the Master of Ceremonies for the evening and contributed his own anecdote noting that the only election he had ever lost, he has lost to Victor Joos. Although it was many years ago, Lessard commented that he believed the best man won in that election. This year’s Honorees were selected without regard to their political affiliation. The criteria for selection of the honorees each year is based on the importance of their contributions to the local community. Everyone in attendance enjoyed a home cooked dinner featuring Beef Bourguignon, Chicken Marsala, a vegetarian lasagne, salads, vegetable side dishes, and desserts. There was also a raffle which lucky winners were awarded with a Kindle Fire, an iron work plant stand from Milton Fabrications, a rotisserie,maple syrup baskets from local maple syrup producers, and a cooking basket from Siobhan’s Table.